That’s right folks. 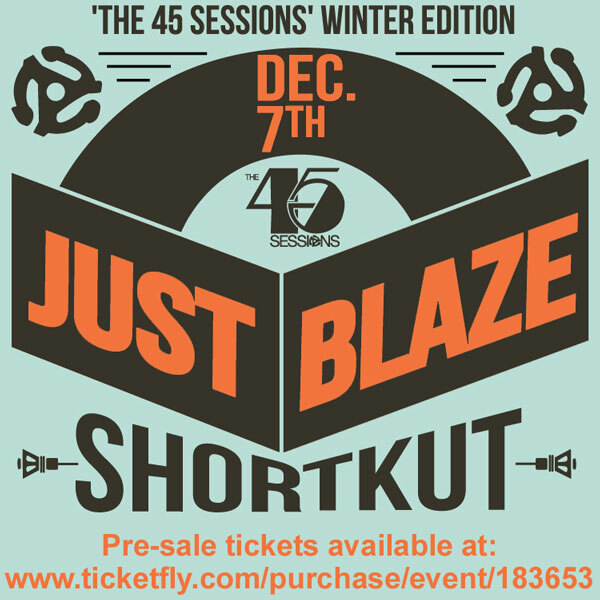 We’ve got the one and only Just Blaze coming to play little records for a special one off of ‘The 45 Sessions’, this time at the New Parish in downtown Oakland. Lots in store for the night including free giveaways, ill new visuals, live streaming, merch booth, 18 and over, and much more!